A few weeks ago I made a little trip to London to visit my friend Emma who has recently moved to the big city. 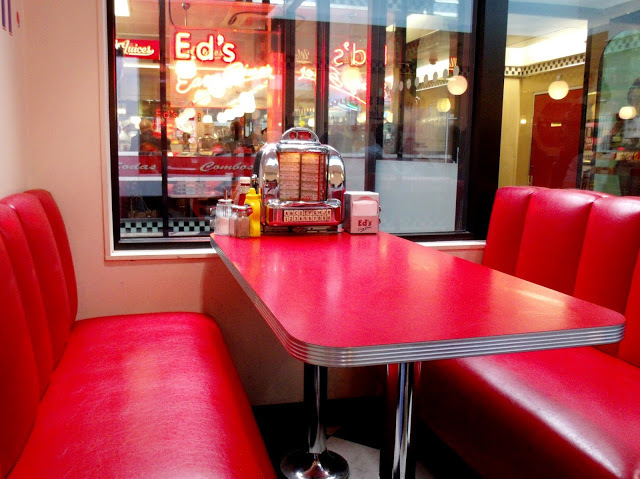 Our first stop was to go for dinner at Ed’s Diner at Euston station. 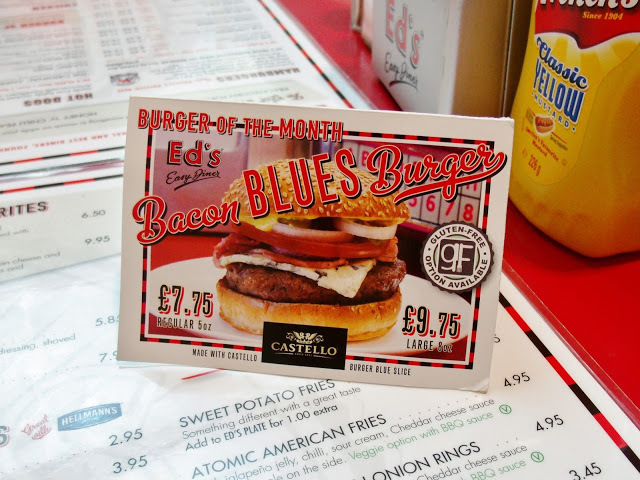 I was keen to try their limited edition Bacon Blues Burger as I adore blue cheese, and this one with Castello cheese and bacon in sounded amazing. 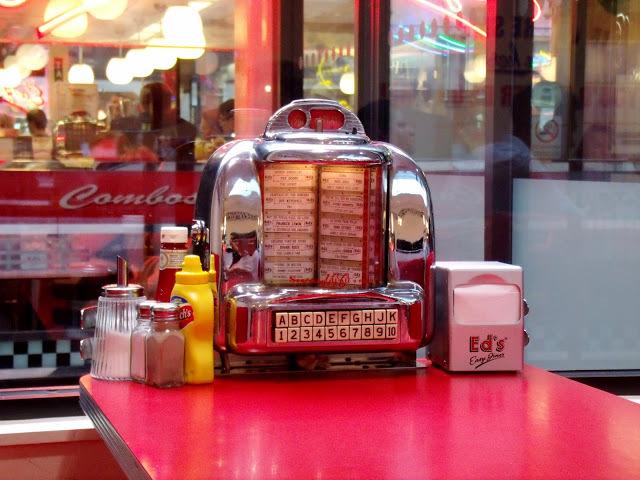 Emma had a classic chicken burger, and we both decided to upgrade to the ‘Ed’s Plate’ which comes with fries, onion ring, and coleslaw. Although I selected to have sweet potato fries with my meal, which were perfect. My burger was pretty good; as well as the cheese slice it also had back bacon, tomato, onion, dill pickle and Ed’s Diner burger sauce. 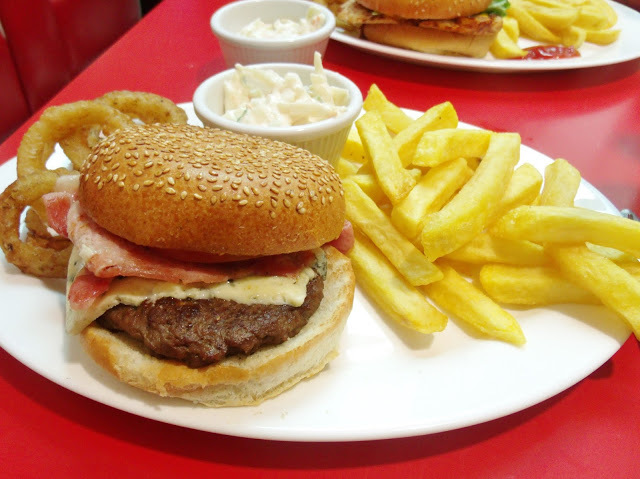 I especially loved the creamy blue cheese and crisp onions! I also decided to treat myself to an Oreo milkshake which was just DELICIOUS and I drank the whole thing to myself.. oops. After our big meal we went to a local bar for a few glasses (bottles) of wine and a nice catch up before heading back to Emmas new place. 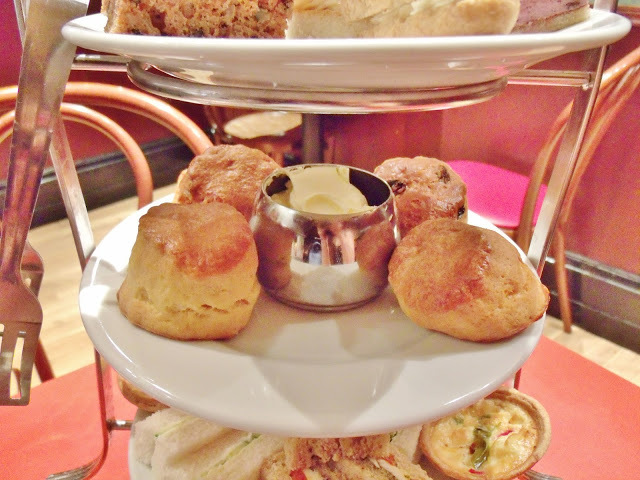 Also, did you know that this week is Afternoon Tea Week? Perfect timing for this review! 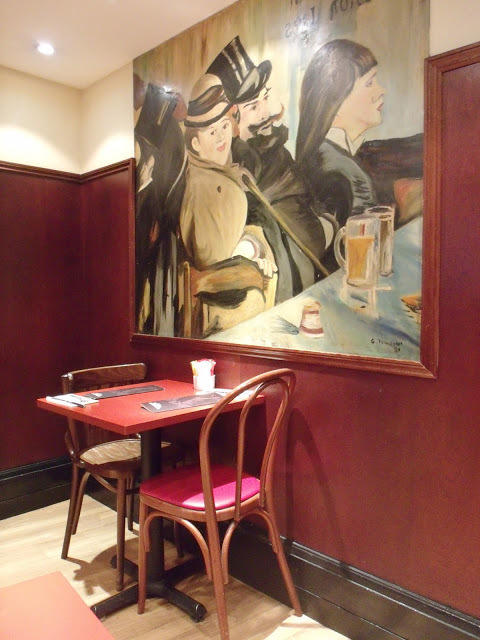 On the Saturday, we had afternoon tea booked at the Patisserie Valerie branch in Soho. 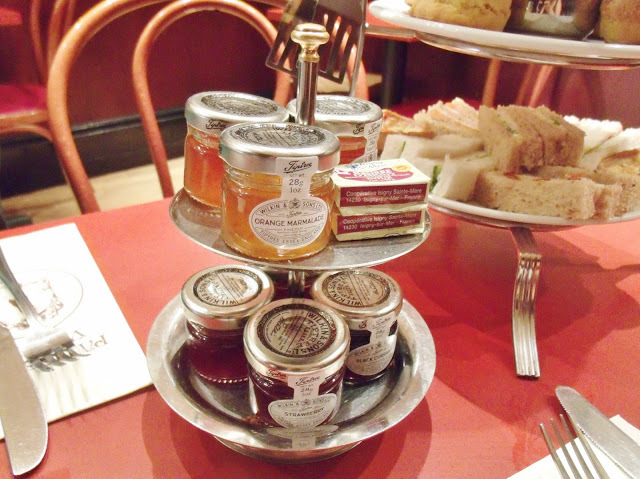 We were kindly invited for lunch, as they have recently launched their afternoon tea for two menu. Their afternoon tea is only £25 for two nationwide (available at over 95 branches throughout the UK), and you can also upgrade to the Prosecco option for an extra £5. This is obviously pretty amazing value for money, especially considering this includes central London locations, where afternoon tea is usually closer to £30 each. 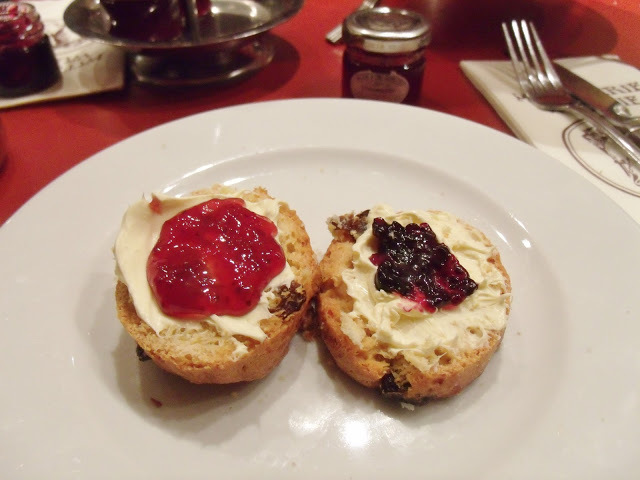 It’s also easier than regular afternoon tea bookings, as you do not need to book this in advance, you can simply walk into a branch and order at your table. 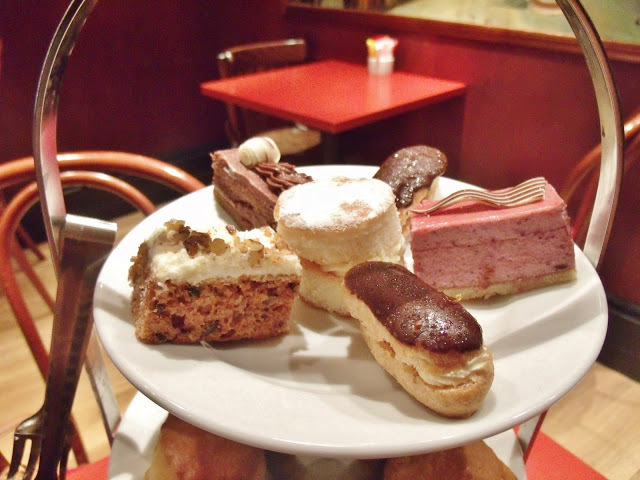 I wasn’t sure what to expect from the Patisserie Valerie afternoon tea, as I’ve been for many teas in my time, but rarely from a chain restaurant. However I’m happy to say that it was actually a really amazing afternoon tea, and superb value for money! 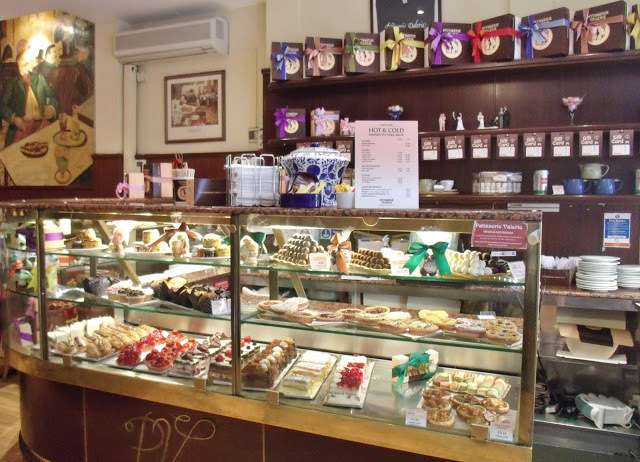 I was unsure whether the food would be fresh, however I was very pleased to find that it included freshly handmade sandwiches and scones. 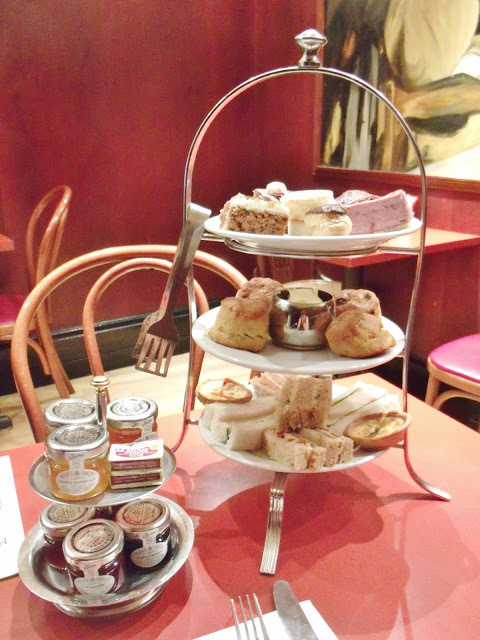 The tea for two included a selection of finger sandwiches, mini quiches, two scones each with jam and clotted cream, and a selection of mini cakes. 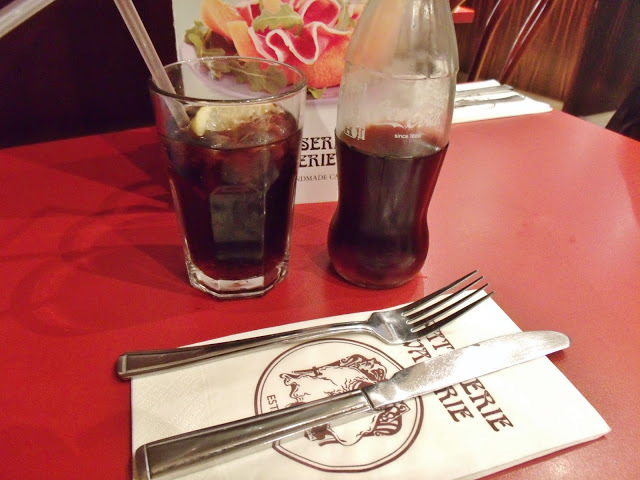 It also includes a refillable pot of tea, however neither of us are tea drinkers so we opted for a soft drink instead! 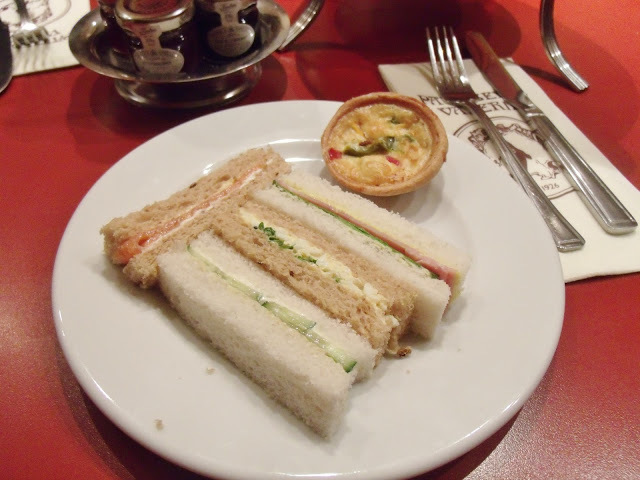 I thoroughly enjoyed the sandwiches and scones, and the quiches were a nice little addition that you don’t usually find at your typical afternoon tea. They also gave us a lovely big range of jams to chose from on a tiered stand. I love the blackberry one! The mini cakes included a mini Victoria sponge, mixed berry cake, mini mousse, two chocolate éclairs, and carrot and walnut cake. I’m not really a mousse lover, but the cakes were lovely and I have to say that the carrot and walnut cake was just perfect! So yummy. 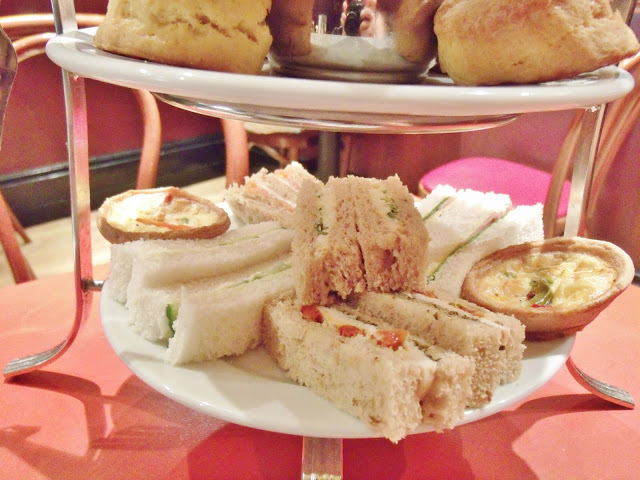 I was really impressed with this afternoon tea, and I will definitely be back again, I think my Mum would love this! It’s such excellent value for money, and the no booking nessecary makes it really accessible. It’s an ideal treat for a special occasion or after a nice day out somewhere.. can’t wait to go again soon! You can also get even better value for money if you purchase a tea for two voucher for only £19 from Amazon Local! Sorry the photos aren’t great.. it was a little bit dark where we were sitting. 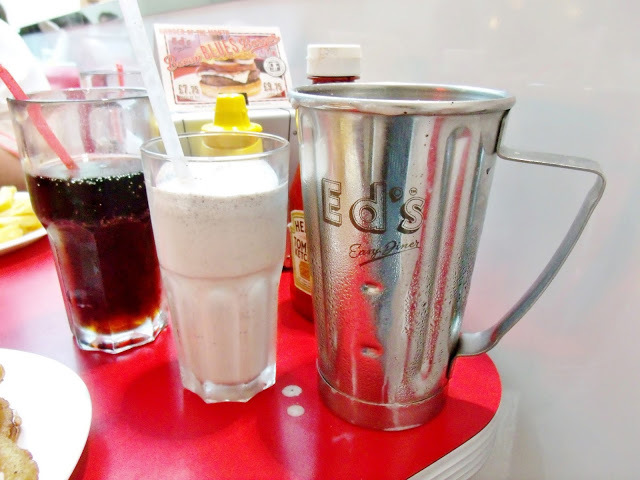 Ed's Diner milkshakes are amazing! I haven't been in awhile but I must go back!